My branch of the Kramer family were originally from the town of Dalhinev. It was also called Dahlinof or Dolginovo. Depending on the year, the town was located either in Russia, Poland, Belorussia, or Lithuania. Today, Dalhinev is in Belarus in the Vilna Guberniya (province). It is in the Uezd (District) of Vileika. Here are some maps of the area. Dalhinev is east of Vilna which is the capital of Lithuania and North of Minsk. It is located at Latitude: 54º39' Longitude: 27º29'. On modern maps it is labeled as Dolginovo. A web site with pictures of Dalhinev in 2012. There are many other links on the web if you want to explore genealogy further. The photograph above is a picture of my Kramer women relatives from Dalhinev. These women were lost in World War II. They may be my grandfather Meyer and Aunt Esther Kramer's sisters, mother and grandmother. These women resemble many current Kramer family members. This picture was given to me by Edith Kravitz Rifkin, daughter of Esther Kramer Kravitz. There were also Kramer family members in the neighboring towns of Disna and Dokshitz. Here is a letter about the Kramer family in Dokshitz. 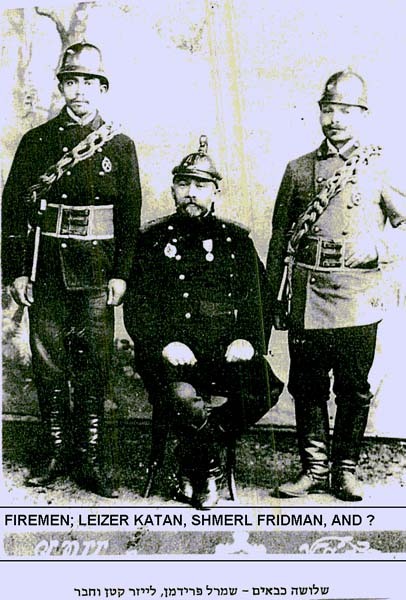 The Dalhinvev Firemen. Leizer Katan is a Kramer relative. Here's some history from Eliat's Gordon's website. Dolginovo was a small town in Belorussia. It passed from Poland to Russia in 1793 and was located within Poland from 1921 to 1945. The [Jewish] community numbered 1,194 in 1847; 2,559 in 1897 (out of a total population of 3,551); and 1,747 in 1921 (out of 2,671). Anti-Jewish riots occurred in Dolginovo in 1896. On the left is a picture of the Dalhinev Firemen. The fireman on the left is Lezer Katan. The Kramer family is related to the Katan family so this is probably one of our relatives. The Jewish population of the city had increased to nearly 5,000 in 1941. From the outbreak of World War II in 1939 until the German-Soviet War, the town was under Soviet occupation. On June 28, 1941, the German Army captured it. In August 1941, 22 men, including the Rabbi of the Community, were murdered by the Germans. On March 3, 1942, a ghetto was set up. During the Shavuot festival that year, the entire community was wiped out, except for 500 craftsmen who were spared from immediate death. During this period groups of Jews fled to the forests and joined the partisans operating in nalibocka puszcza. The few remaining members of the community were murdered in September 1942. My cousins, Sophie Kramer Cantor, Joe Rubin, and Cy Levine all told me that our branch of the Kramer family was from Dalhinev. This is confirmed by our cousins Donald Levine's manuscript where he mentions that after grade 8, he went to school in Vilna which was about 180km away from Dolinof. At this school he learned Hebrew,Yiddish,and Polish. He says "many from our town went to Vilna because of the teachers for Hebrew." The Dalhinev Yizkor book and other Dalhinev documents mentions many Kramers. There were also family members in the neighboring towns of Disna and Dokshitz. 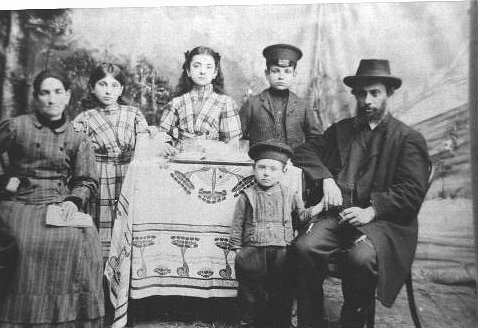 The common progenitors of the Kramer family in this country were my great- great grandparents, Yosef Kramer and his wife. Her name may have been Zlotke, according to Cy Levine or Katya who was mentioned in the Dalhinev Yizkor Book as the wife of Yosef Kramer. Yosef and his wife were probably born around 1820 and most likely lived in Dalhinev. They were the parents of Lazar Ruven, Elke Pesche, Nechama Draiza, Gruni, and my great grandfather, Gabriel. Members of the family have told me that Yosef Kramer was a Rabbi and the head of the Yeshiva in Dalhinev. The first group of Kramers in my branch of the family to arrive in American from Eastern Europe were the children of Lazar Ruven Kramer and Chayah - Soske Lurier Kramer. They are the branch that settled at Greystone Farm in Plymouth, Connecticut. My grandfather, Meyer Kramer, was their first cousin. It is not clear why they came to the Waterbury area, but people have told me that they came to visit relatives on the Levine or Lurier side of the family who were already there. Lazar Ruven's descendants are the Greystone branch of Kramers who had the farm in Plymouth, Connecticut. They include the descendants of Lazar's son Abraham Kramer (1870 - 1945) whose children were Arthur Kramer, Samuel Kramer, Hy Kramer and Sophie Kramer Cantor. My cousin, Ethel Kramer, is a descendant of this branch. When I spoke with Abraham’s daughter, my late cousin, Sophie Kramer Cantor, she told me that her father was a well read, a learned scholar and a kind and jovial man. He arrived in New York sometime between 1890 and 1896 and went to Waterbury to work at a family bakery. He bought Greystone Farm in 1906. Besides the farm products, he ran an ice business and had a milk route. A second branch of the family in this country is descended from Abraham's sister, Gruni Kramer Rubin. Joe Rubin and his family are descended from this branch. Other descendants of the Kramer family in this country include members of the Levine, Lurier, and Koton families. These are the descendants of Nechema Draiza Kramer who married Levitche Koton. The Flight from the Ghetto story is by their grandson, Leon Koton. The Luriers may have been the first Kramer relatives in Waterbury, Connecticut. Another branch of Yosef Kramer’s descendants are the Dreizenstock family. The connection to this branch occurred when Elke Pesche Kramer married Meir Zalmon Dreizenstock. This branch includes Alvin Rubin, my cousins Helen Gould and her sister Kaye Gould Suchmann, the Leventhals and the South African branch of the family including Ralene Levy. 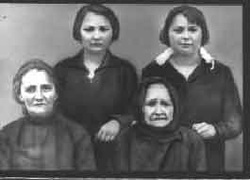 The story about the Dzina Ghetto is by a member of this branch of the family.